A few weeks ago it seemed that spring had arrived. I bought a shiny new helmet, and with temperatures in the high teens I had a most enjoyable weekend ride up to a bright, balmy Dunstable Downs and rejoiced at the arrival of the new biking season (for fair-weather riders like me). 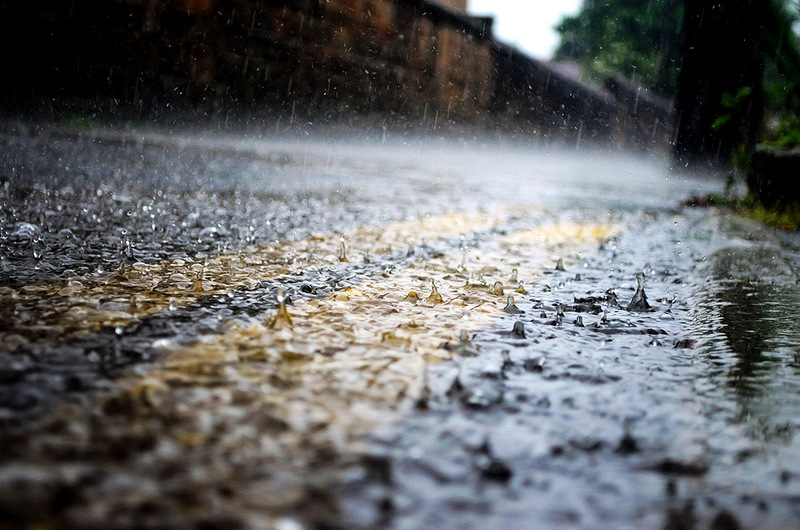 Sadly it was just a teaser, and since then it’s been nothing but meteorological misery, with Storms Gareth and Hannah sending a string of violent reminders that spring doesn’t officially begin until 20 March. Between them they’ve taken most of the roof off my bike shelter, and I’ve got nowhere dry to do all my pre-MOT TLC. 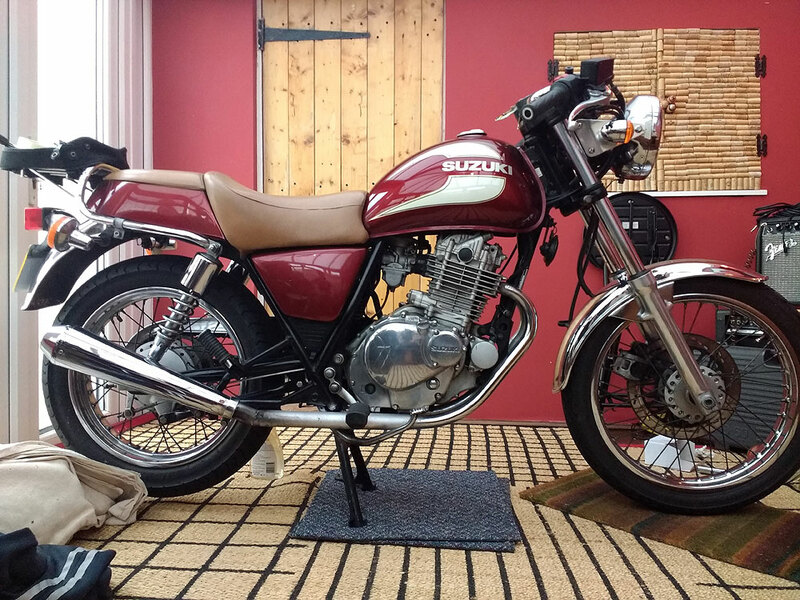 I’ve become slightly envious of my girlfriend, whose lovely little 250cc single is currently displayed like some kind of lavish ornament in our conservatory, while gradually being adorned with an assortment of decals and chrome trinkets. My lumbering great 1300cc Honda is at least 100kg heavier and would probably go straight through the feeble floorboards. Outside under a tarp it is, then. Humph. I’ve had plenty to be getting on with on four wheels though, and can proudly inform you that I am the latest member of IAM RoadSmart staff to have passed my Advanced Driver Test – with a F1RST! As some of you will know, over the last couple of months a group of observers have very kindly been running a course for head office staff. I’m pleased to report that there is a rapidly increasing number of advanced drivers in the vicinity of Welwyn Garden City, with test passes now coming through thick and fast. Speaking of ‘thick and fast’, the other week I attended a conference about young motorcyclists. Joking aside, I know that isn’t really a fair description of young riders, but it perhaps does represent the public perception. There are many who view all motorcycles as being noisy, dangerous things, and the recent associations with anti-social youth activity are doing little to dispel the traditional stereotype of the rebellious young biker. 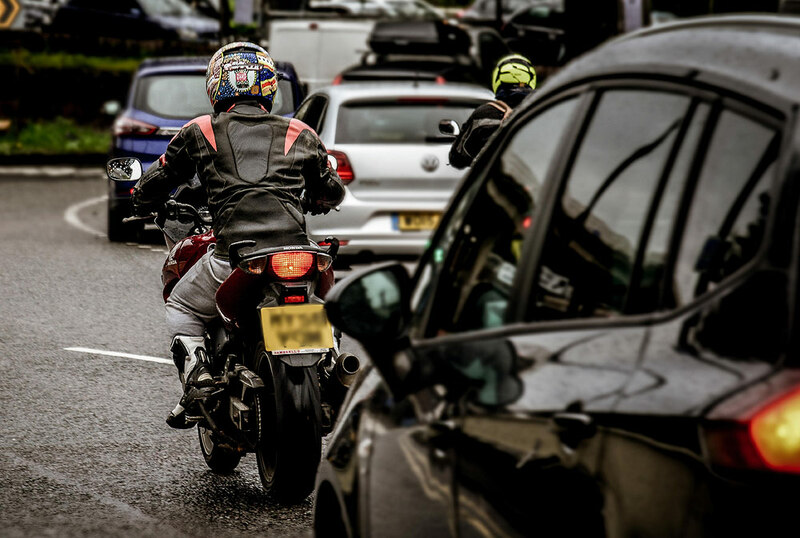 Although bikers make up a very small minority on UK roads, their presence in the casualty statistics is disproportionally high, with riders in the 16-24 age group at particularly high risk. 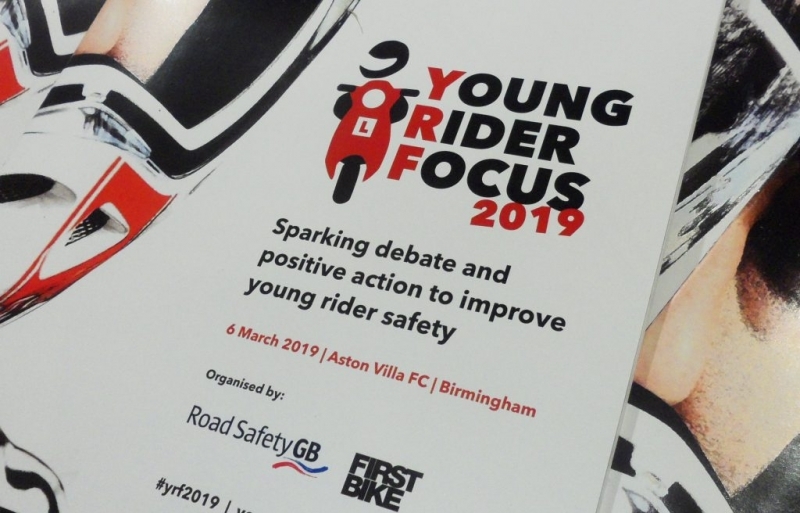 Young Rider Focus is the new-for-2019 sister event of the Young Driver Focus conference that has been running for a few years now and is aimed at tackling some of the issues specifically affecting young users of powered two-wheelers, not just in relation to safety. The conference brought together representatives from the motorcycle industry, training organisations, researchers from the world of transport policy and planning, and behavioural psychologists with an interest in the development of training solutions. The day’s agenda and the speakers’ presentation slides are available here. Given the diversity of the line-up, there’s too much to cover in any great detail here, but there are a few key points raised that should inform our thinking about the safety of young motorcyclists. In the 20 years from 1997 to 2017, the average age of motorcycle buyers has risen from 34 to 54 years. There are a wide variety of reasons behind this including improved affordability of cars for younger buyers, the relative expense and complexity of getting a motorcycle licence since the introduction of the modular testing regime, and perhaps also the dwindling popularity of sports bikes and the relentless rise of the retro. Tony Campbell, CEO of the Motorcycle Industry Association (MCIA), noted that rapidly ageing demographics are of concern to the motorcycle industry, as they do not bode well for the future of the market, but what is the potential impact on young rider safety? Ultimately, if young people are less inclined to take to motorcycling, it will become increasingly difficult to maintain focus on them as one of the most vulnerable groups of road users in the eyes of those responsible for transport policy, road planning or education. There is still plenty of uptake of mopeds, scooters and low capacity bikes in general, but it appears that much of this is being driven by the growth of ‘last mile delivery’ particularly in the takeaway food sector. This is one of the biggest areas of concern in relation to the safety of young or inexperienced riders. Not only are these riders taking to the roads with nothing more than one day of Compulsory Basic Training (CBT), they are entering a job that can involve a great deal of time pressure, on busy urban roads, often after dark. 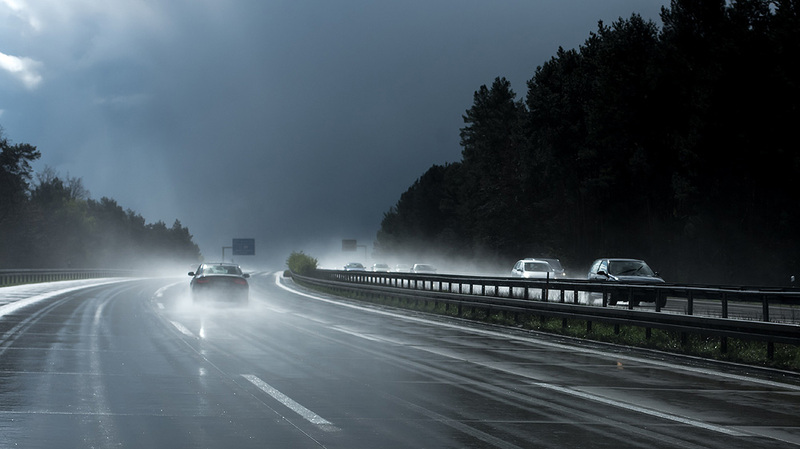 Representatives from the Highways Agency and the DVSA confirmed at the conference that research into the development of CBT is ongoing, including experimenting with extending the course to two days. Hopefully any future changes to the format or content of the course, or to the licencing system will address the fact that CBT has become the only training touchpoint for a large number of working delivery riders, many of whom simply renew their CBT every two years rather than dedicating the time or funds towards gaining a full licence. Although we often speak of young drivers and riders being those who fall into the 16-24 age group, in reality this is a very broad age range, and we need to develop a better understanding of the various segments within that group and their key motivations. Although you might think that those at the lower end of the age group are the ones likely to have the worse incident record, there is actually a spike in the casualty rate for those aged around 19 – the minimum age for riding a ‘full size’ bike on an A2 licence – perhaps owing to the significant increase in power over a moped or 125cc ‘learner bike’. A subsection of this group are young adult riders who live in urban areas where neither car ownership nor public transport are viable options for commuting to work or college. These riders are not necessarily motorcycle enthusiasts and will therefore continue to ride their low-capacity machines with minimal training, poor safety gear, and often during heavily congested times of day. On the plus side, the fact that this demographic exists will help to cement motorcycles as an integral part of our transport solution in UK cities. Ian Biederman, director of BMW Rider Training, acknowledges the increased risk associated with this segment, and offers training only for riders aged 19 and over. This is partly down to the fact that BMW’s model line-up caters for this age group rather than a younger one, and the training courses can be offered as part of a bike ownership package. However, this approach does help to target training at aspiring riders of larger capacity bikes at the very beginning of their riding career, which can only be a good thing. As for the aim of attracting new riders into the fold, Ian has built an ingenious rolling road simulator, which enables you to get a feel for the basic controls on a BMW G310, without the bike being fixed in a rigid position. 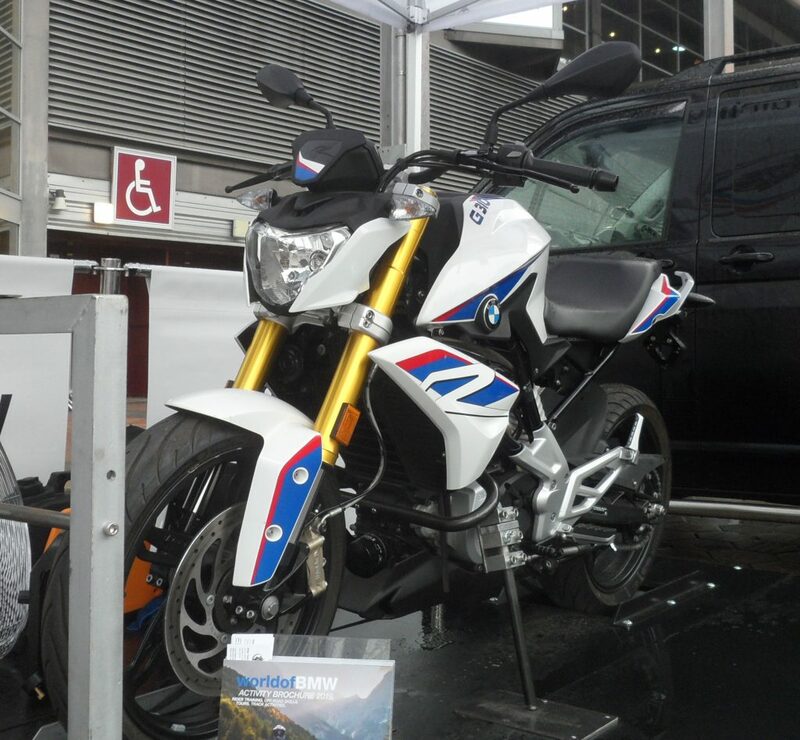 The simulator makes regular appearances at motorcycle events around the country, and is well worth looking out for if you have a friend or family member who’d like to get a feel for a motorcycle in a controlled setting. At IAM RoadSmart, we’re always looking for new ways to attract younger motorists towards advanced driving and riding, and it’s crucial that we keep abreast of the changes to the motoring landscape in order to do this most effectively. 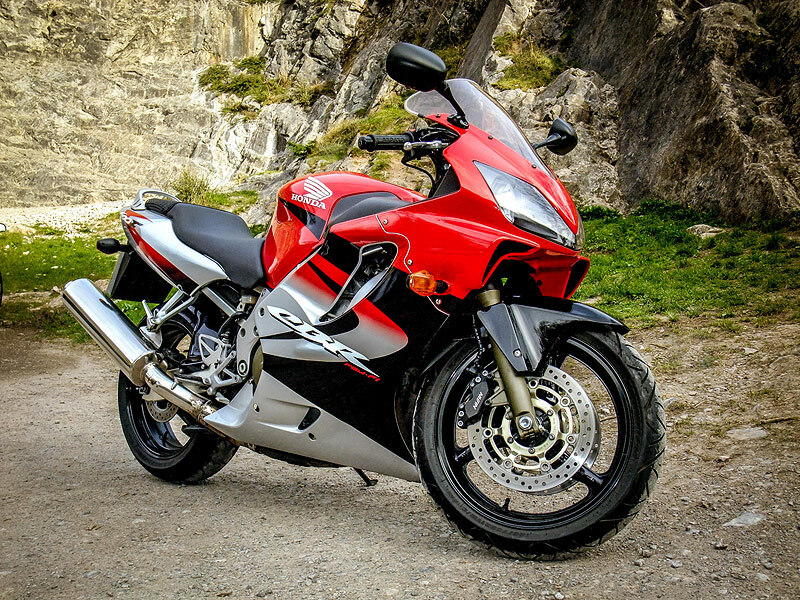 Our motorcycle groups contain some of our most active members, who are extremely keen to help other riders to improve their skills, but it is admittedly very difficult for them to target the youngest, highest-risk age group. Significant proportions of those younger riders just want to get from A to B, and don’t necessarily realise that their scooter might represent the springtime of a lifelong biking career. I’m no spring chicken, but I can still remember how eager I was to ditch the L-plates which, to me seemed so horrendously ugly and uncool. Maybe that’s something that could motivate young riders to take the next step beyond CBT; who knows? What I do know is that I can’t wait until spring actually begins, as I’ve got a few bike/camping trips in mind, and neither activity is all that appealing unless dry weather is guaranteed. Motorcycles improve quality of life – for everyone!